Alanya Turkey Furnished Sea view apartment for sale 64.000 Euro. 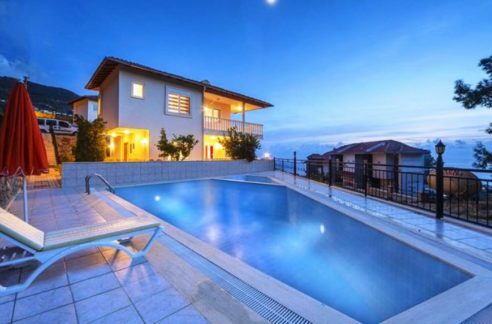 107 m2, 3 room, 2 bathroom, 1 km to beach, year built 2010, sea view, alanya view, swimming pool, children swimming pool, fully furnished. The property is located in the city center of Alanya in a quite area. The Apartment is on the first floor 107 sqm with a livingroom, seperate kitchen, 2 bedrooms, 2 baths and 2 balconies. Amazing sea view, city, castle and harbour makes the property very interesting. The Apartment belongs to a residence with 6 bloks. There are 2 swimming pools, sauna, fitness room, caretaker, security, night security, video security and private parking for the residence. The monthly fee for free for activities and communals cost 100 Turkish lira ( 30 Euro). We offer the property fully furnished included air conditioned and white goods for 64.000 EURO. To the Kleopatra Beach is just 1,3 km. Alanya Real Estates Alanya Real Estates » Properties » Apartments - Flats » Alanya Turkey Furnished Sea view apartment for sale 64.000 Euro. Homes for sale in Alanya Turkey ocean front 72.000 Euro. Sea view Duplex Penthouse for Sale 69.000 Euro.